Simply tell Otto what each learner needs to know, how deeply they need to know it, and for how long they should retain it. Otto will take care of the rest. Bite-sized content that engages your learners. Algorithms that detect and eliminate knowledge gaps. Two-minute sessions to make training stick. Practice is the best way to learn. Otto intelligently provides adaptive activities designed to increase your learner’s Mastery Level — personalized learning for each learner. Learners can practice at any time to explore content or deepen their mastery. You’ll be impressed by how your learners will choose to increase their mastery themselves. 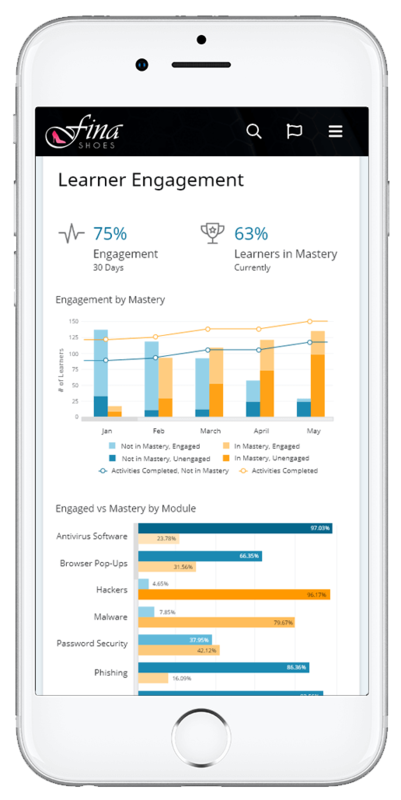 We measure what your learners know and automatically adapt our Mastery Moments™ to focus on areas requiring improvement. OttoLearn measures, analyzes, and adapts your training—moment by moment, learner by learner. OttoLearn is everywhere. Use OttoLearn with your favorite browser on any device. Learners can download OttoLearn’s iOS or Android app to get push notifications and stay engaged anywhere. Visit our Demo Center to learn more about how OttoLearn works. Microlearning content should be as quick and easy to create as it is for learners to use. With OttoLearn, it is. Otto’s integrated Content Studio lets you create and deploy content shockingly fast. Create new content, retire old material, or update existing content at any time. OttoLearn evolves with your business and training needs. 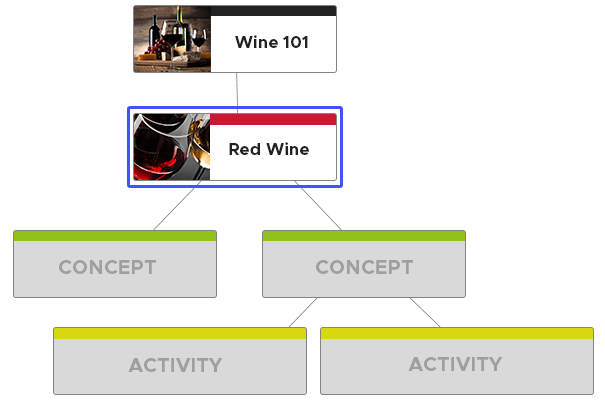 Visualize your content with a beautiful Knowledge Map. Otto organizes content in Learning Modules. Each Module can have an associated Knowledge Card, which is displayed to the Learner when they first access content from the Module. You can create a learning path (scaffolded learning) by putting your Learning Modules into a logical sequence that delivers your training in the proper order. Within a Learning Module, Topics allow you to group knowledge together. You can require learners to master one topic before getting the next. Focus on what matters! Most traditional elearning courses are full of non-essential information. OttoLearn allows you to focus on your most important content without all the extra fluff. This precision will deepen learner knowledge, resulting in the changes in learner behavior that mark the success of your training program. Activities are short, fun interactions, where learners exercise their knowledge related to the concept. 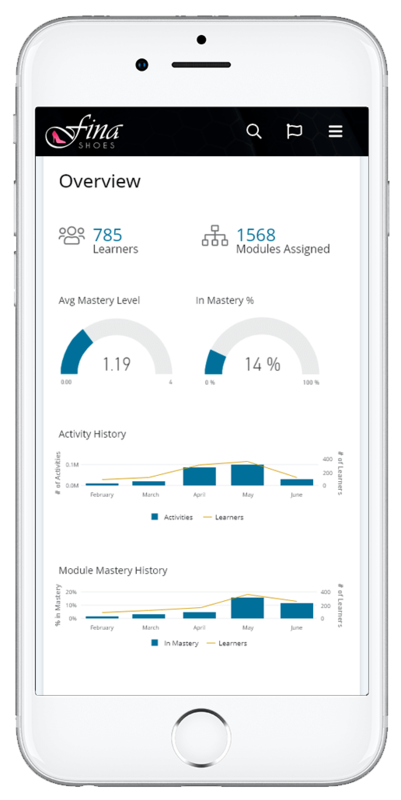 Your learner's mastery is tracked at the Activity level, and we automatically have your learners practice with different Activities per concept. 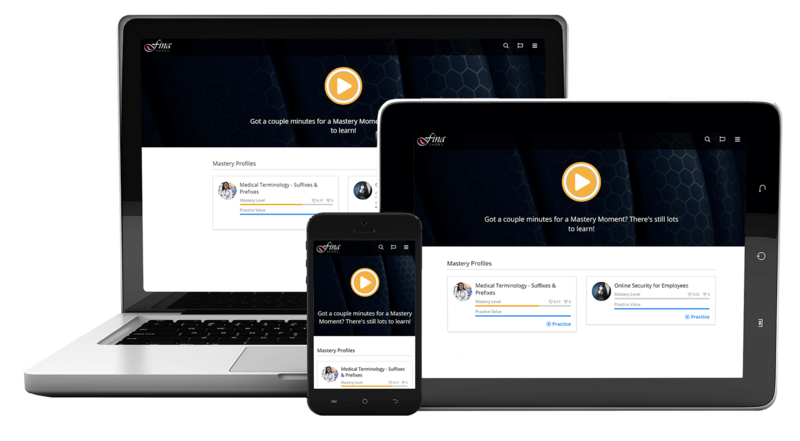 OttoLearn includes multiple ways to design scaffolded training experiences, to engage your learners and take them from Novice to Master. OttoLearn’s knowledge cards are the perfect performance support. 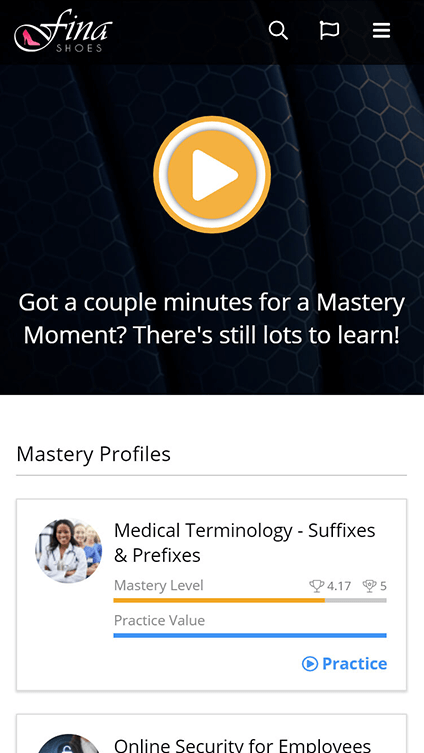 Otto tracks all searches and knowledge card interactions, and correlates it to your learners' mastery. This allows you to see where your learners are spending time looking up knowledge and how learners gain independence as their mastery increases. 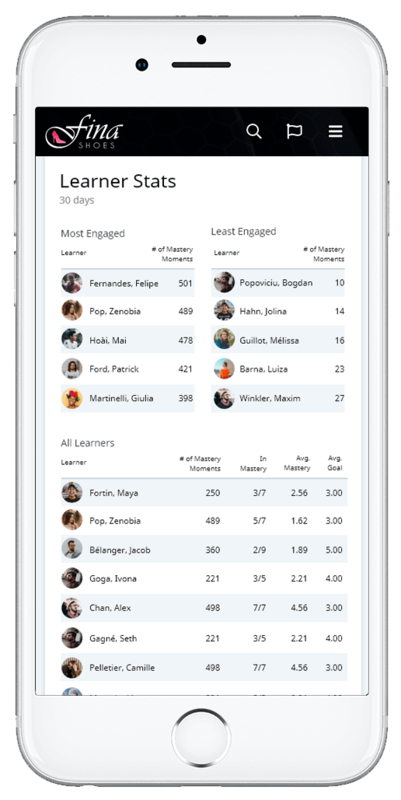 Otto will analyze your learners searches to discover areas of knowledge that need to be supported. A learner can see their corresponding mastery for each knowledge card area, and choose to increase their recall through extra practice. OttoLearn has a gorgeous suite of data visualization tools. Every OttoLearn account comes with easy-to-access interactive reports. Drill down to the details you need on your users or your content. 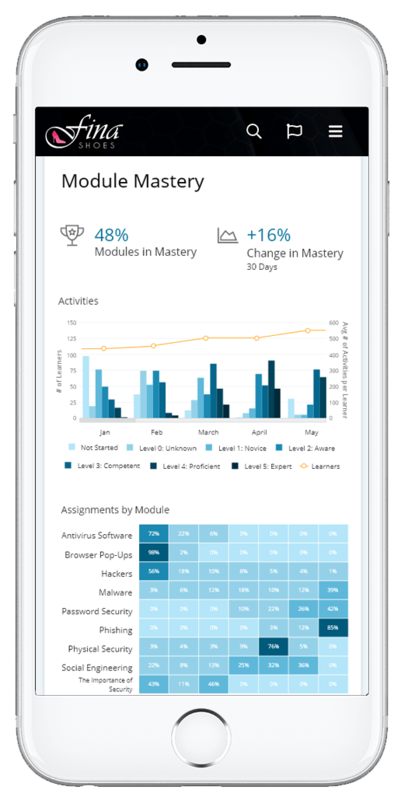 Our Starter and Team plans come with reports centered around Learner Stats, Module Mastery, and Learner Engagement. Growth and Enterprise plans also have access to our enhanced reports, measuring knowledge gaps and lifts (the increase in knowledge gap closure) and your learners' proficiency. 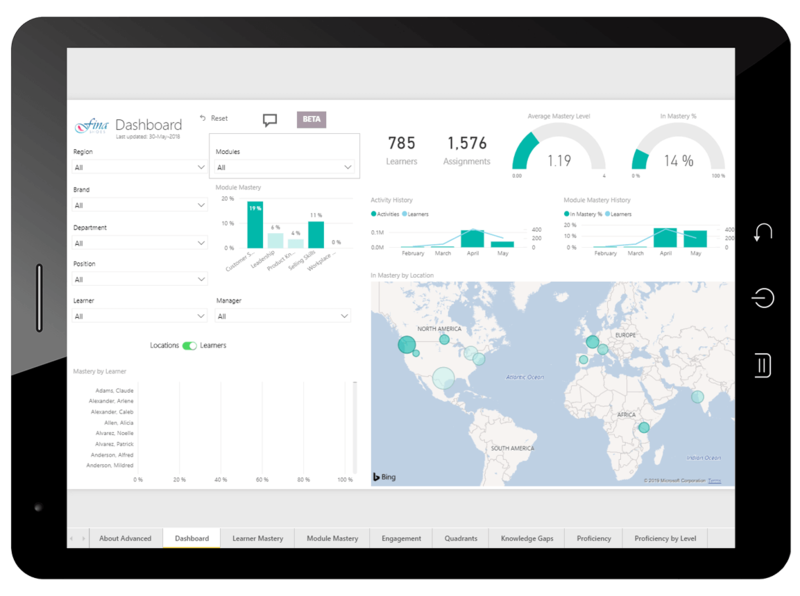 Our Enterprise Plan includes a fully customized analytics dashboard. The Otto platform is intensely multilingual. You can choose from one of our pre-defined language sets or define your own for ultimate customization. Easily create multilingual versions of your content with OttoLearn's built-in translation tool. 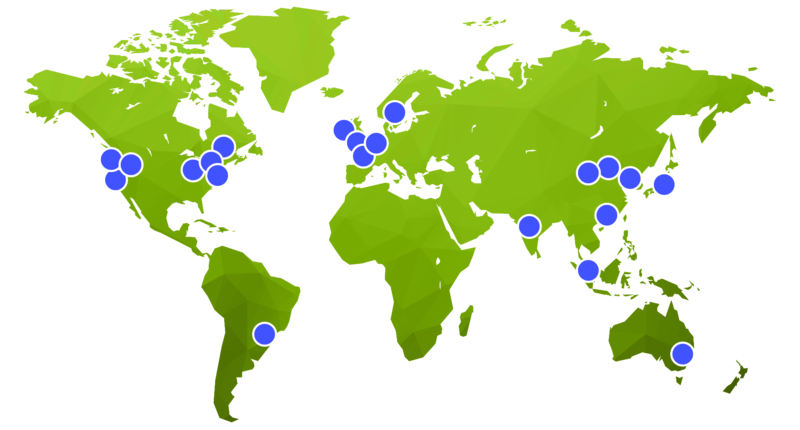 Otto works over Amazon’s global infrastructure with low latency and high reliability. Few things are more important than online security. 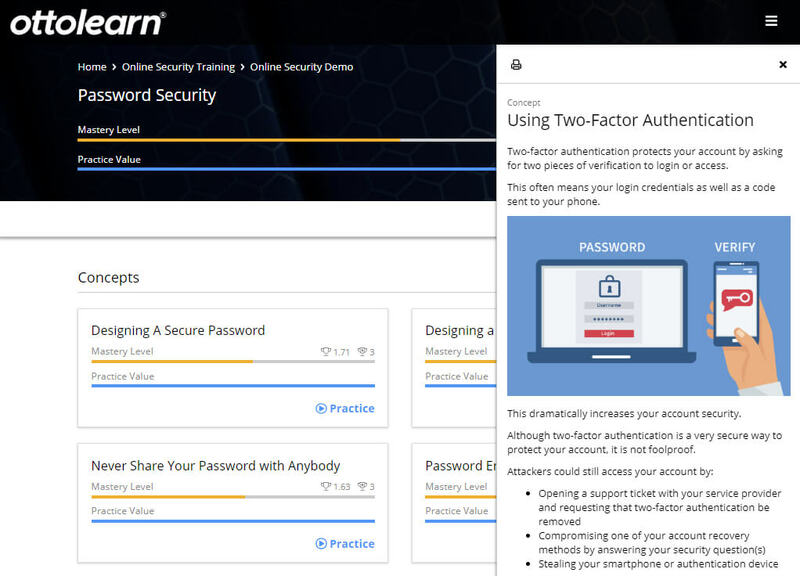 OttoLearn is committed to protecting your learners, your content, and your data. Data encryption-at-rest means that your data is secure. All information in our database is encrypted, so even in the unlikely event of a breach, our partners and customers are protected. All data transferred to and from Otto is encrypted with industry-standard SSL, meaning that anyone listening in will just hear garbage. Cloud security is our highest priority. We are hosted at Amazon's Canadian data center which has global security and privacy certifications. Learn more. OttoLearn has scalability in our DNA. We could tell you all about our microservices-based, serverless architecture. But let’s just say, we can handle any user volume you throw at us. Historically, Otto has better than 99.99% uptime. We periodically have short maintenance periods to release great new features. During those periods, learners can typically continue their personalized learning.